* Drawer for drop files makes it easy to sort and store important papers. * Easy to move where it is needed thanks to castors. * Both drawers are lockable. * Drawer stops prevent the drawer from being pulled out too far. 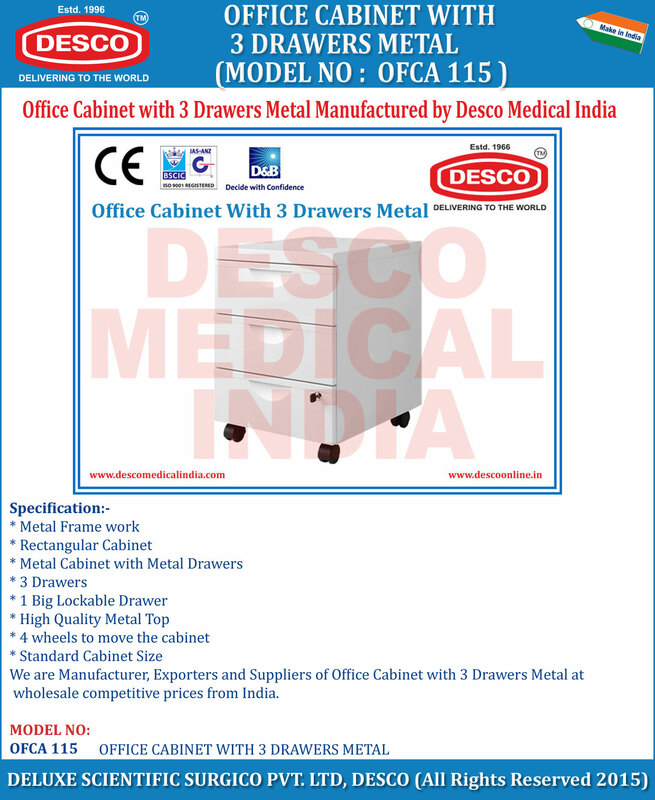 We are Manufacturer, Exporters and Suppliers of Office Cabinet with 3 Drawers Metal at wholesale competitive prices from India.